Book your next weekend or public holiday round of golf quick and easily online! Take the first step into golf, get some tips or just sharpen up those skills with a lesson from one of our friendly team. Have a hit on our all turf driving range, or add some finesse to your short game on our practice facilities. 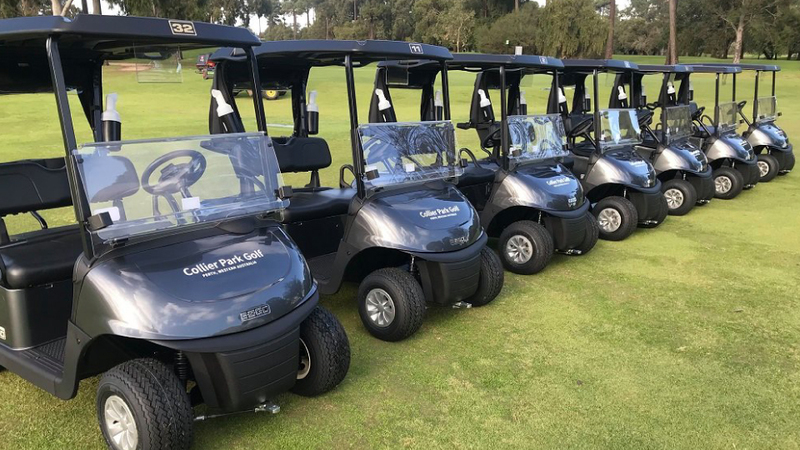 Described as picturesque and challenging, Collier Park Golf is a 27 hole international standard public golf course, driving range and practice facility located in the heart of South Perth, just 10 minutes from Perth’s CBD. Uniquely designed as three individual 9 hole courses, each one offers a different playing experience and strategy. Our all turf driving range is enjoyed by thousands of people each week and offers an authentic practice facility like no other. If you want to learn how to play, lower your handicap or just need a few pointers to improve your game, our friendly and highly experienced team of PGA Professionals offer coaching and tuition programs for all ages and skill levels. Come down and have a hit, or just grab a coffee and have a chat with one of our friendly team. Take advantage of our motorised cart special – every Monday during February! It’s back! 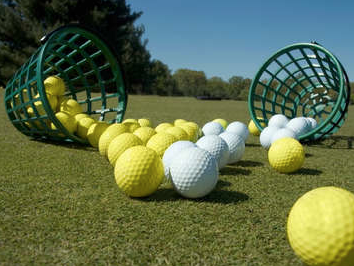 get a free bucket upgrade on the driving range between 10am-2pm every day!